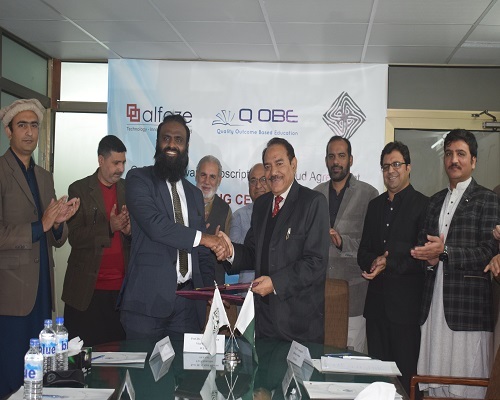 MoU Of Q-OBE Sofware for Eelctrical Engineering Department , FUUAST, Islamabad. In connection with PEC requirements-OBE software services are subscribed by FUUAST from ALFOZE Technologies. 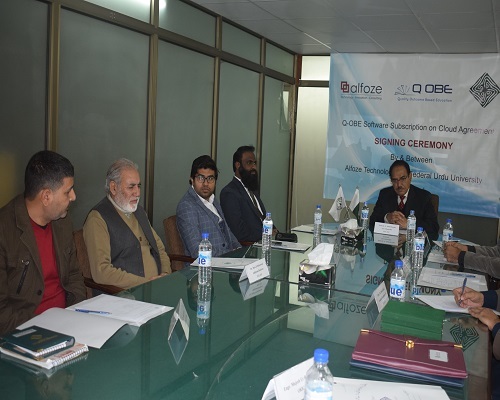 MoU and contract signing ceremony was held at conference room FUUAST Islamabad. 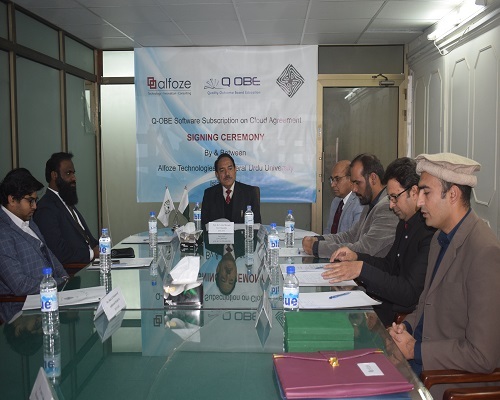 The contract was signed by the vice Chancellor FUUAST and Mr.Muazam Arsalan Bathi CEO of ALFOZE technologies.